J.D. 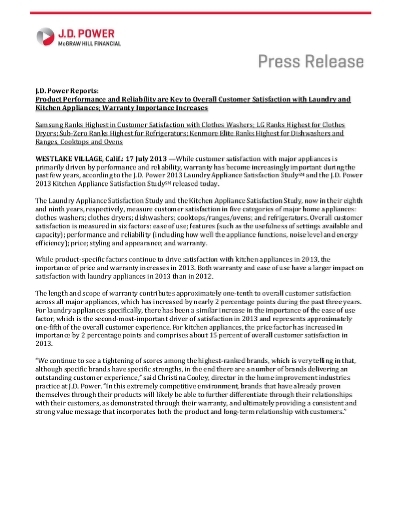 Power and Associates; Kitchen Appliance Study shows the overall customer satisfaction with Refrigerators. Customer Satisfaction is measured based on performance in six factors: performance and reliability, features, ease of use, styling and appearance, price and warranty.